Sweet and lovely with a fragrance to match, Peggy Sue is reminiscent of crinoline and pearls. 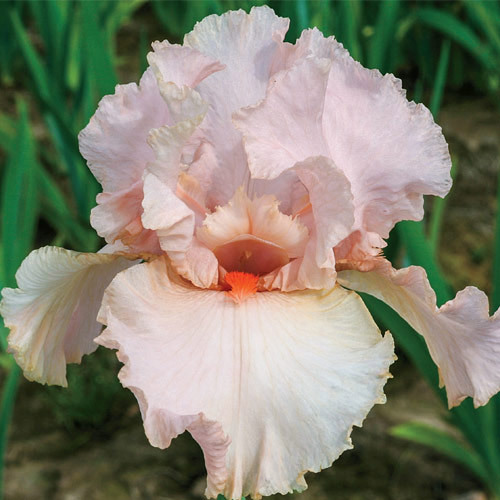 Gentle light pink standards top paler, finely shaped falls highlighted by mandarin red beards in this darling barely bi-tone. Flowers are fan-shaped, with three drooping petals called falls and three upright petals called standards. Well drained preferred. Quite tolerant of a wide range of soils.